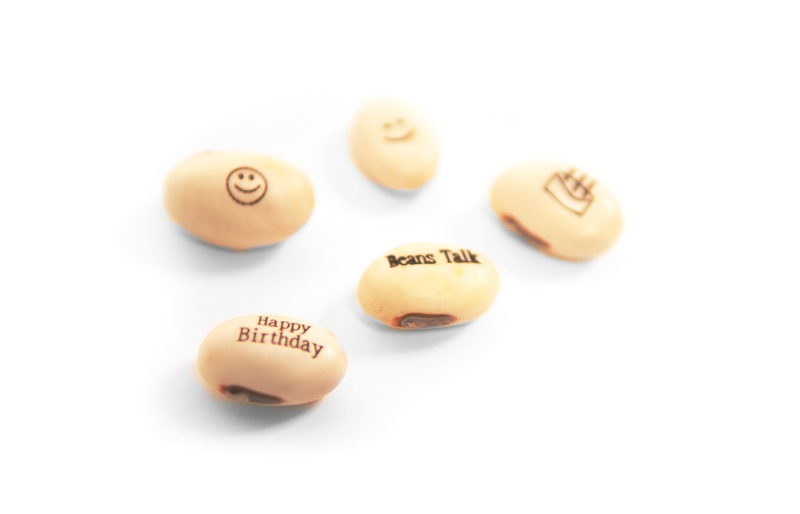 Five magical beans with messages and pictures laser etched into them on both sides which will continue to enlarge as the beans grow. 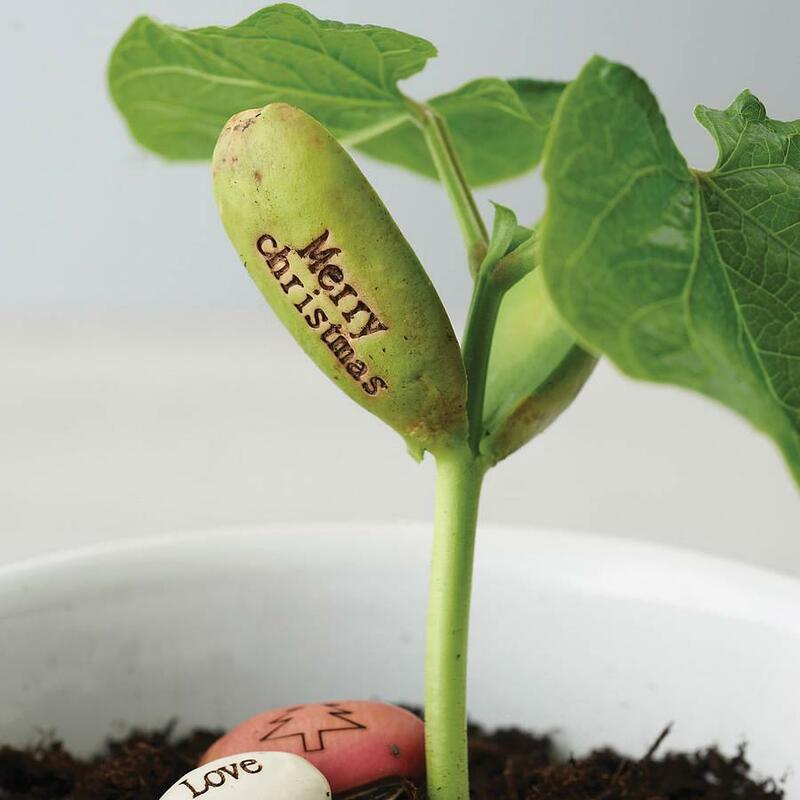 Just plant the seed into water beads or soil, and less than two weeks later, everyone will be astonished by the special messages that grow with the plant! 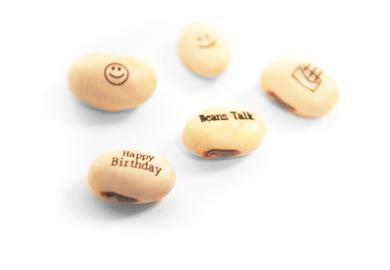 There are a number of packs available making the beanstalk an ideal gift for all occasions. Please note, the words in brackets are on the reverse of the bean. Add soil pellets and you can grow the beans in the bag itself by just adding water! 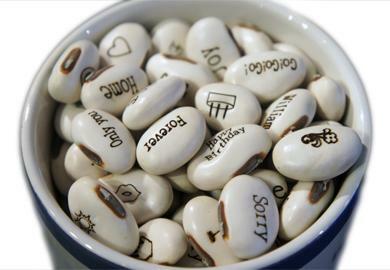 Note: These need to be planted like normal bean seeds. 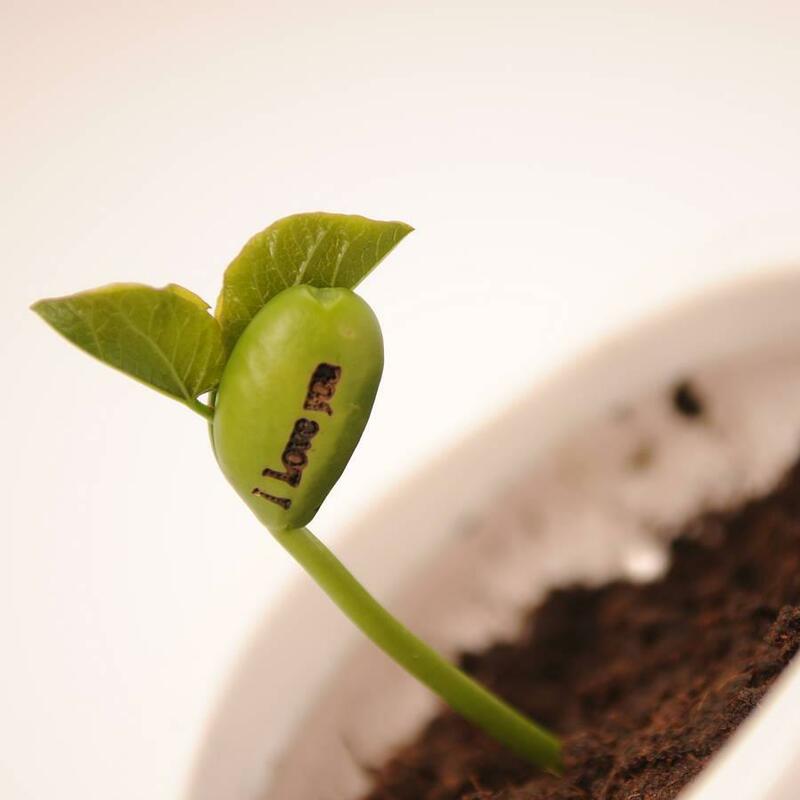 As with any natural seed, they will need stable warmth, light and watering for germination. Bean type: Canavalia ensiformins, known as common Jack Bean. Hi, they usually come in a small bag with clipped instruction card. The brown judge bag is an extra option. Do you plant all 5 seeds at once?Can yougrow one seed after another in the same bag? Hi! In a small container, we recommend planting 2-3 beans each time.